Happy Wednesday! 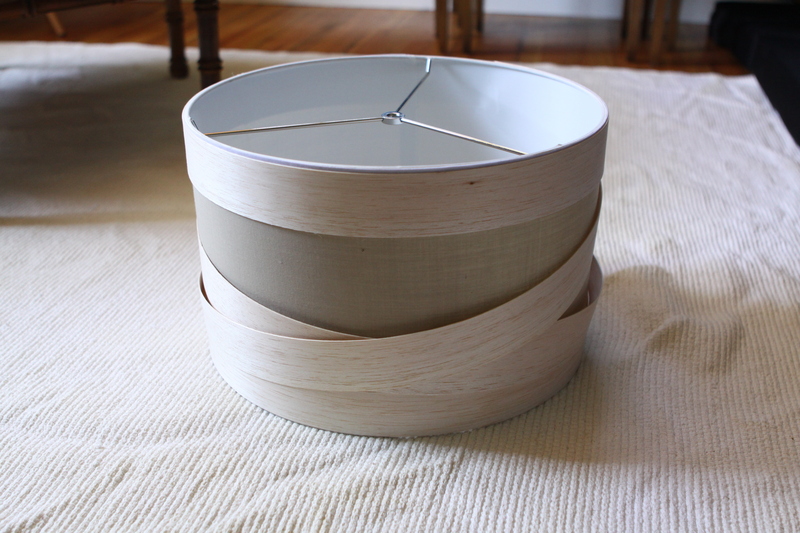 Today I have a great DIY for you guys. It is SO EASY, and I was super excited with the end result. Step 4: Stand back and admire your beautiful creation. After all, you are a very talented individual. And there she blows! Standing in all her my-mama-just-made-me glory! 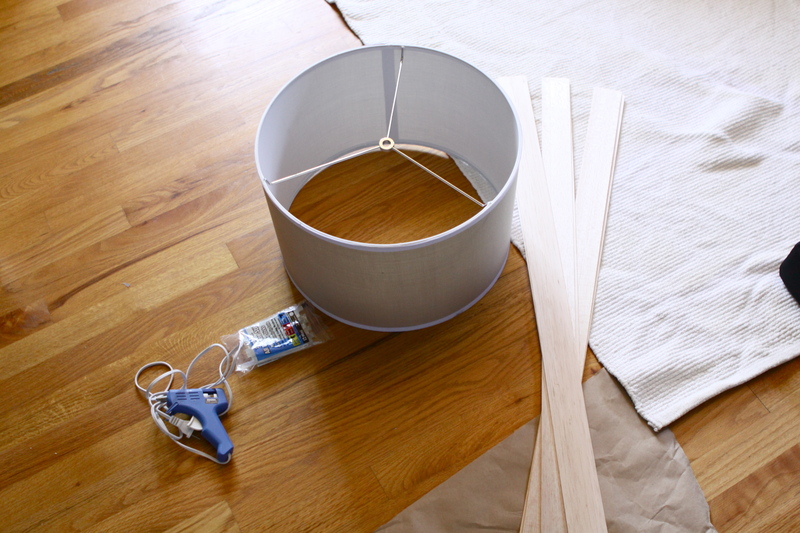 Check out my last DIY lamp shade here! Ohhhh this is beautiful! LOVE it! Love the texture against the navy! Very cool! pardon my language, but this is ___ng fantastic! what a gorgeous shade! thanks for the DIY potential inspiration! I would also like to know where one would buy balsa wood, as well as the specific lengths/widths you used for this project. Gorgeous! THANK YOU! 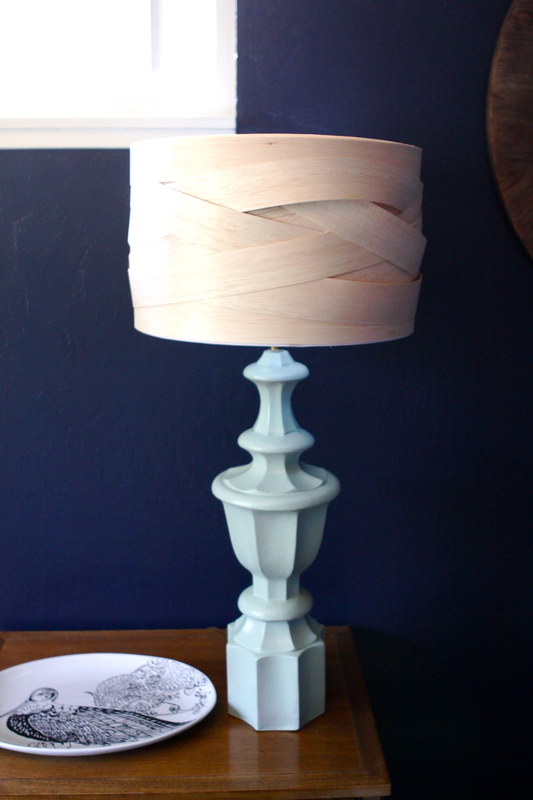 I have been searching for a way to re-do my vintage 1950’s tall drum lampshade. The only options I’ve found up until now were expensive (hiring someone to put polystyrene wrap around it). Currently I have wide satin ribbon around it, but it’s so unstable and it gets wrinkly. I’m going to try this method. 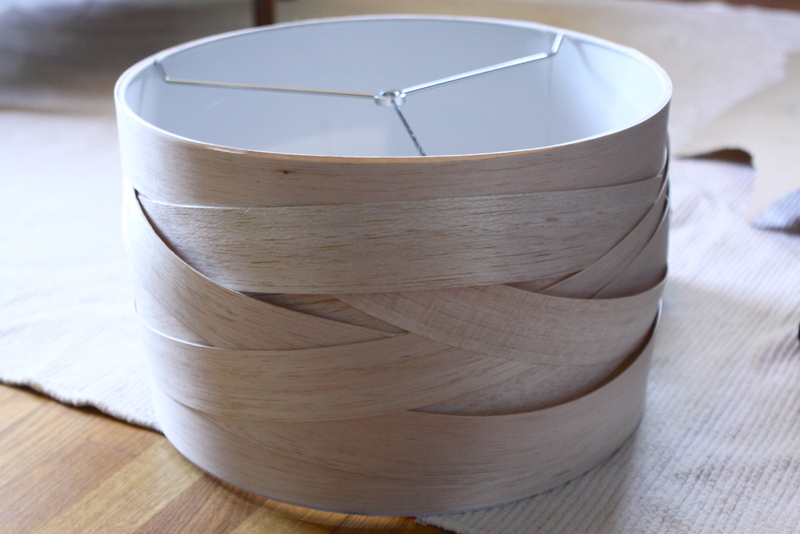 Do you know if there’s a way to attach the balsa wood to the bottom and top circle frames of the shade? Were’ talking bare bones…thank you again for this post. Keep up the great, inspiring posts. This is awesome. where do you get the balsa wood? 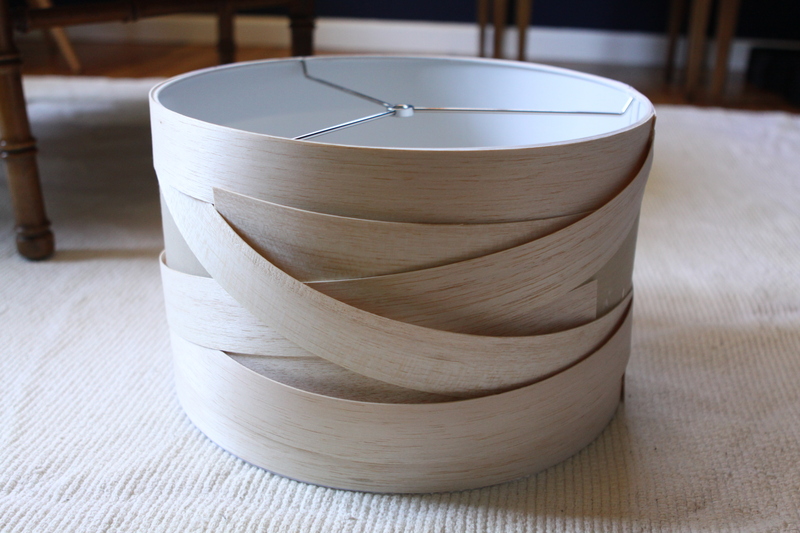 Yes, please, please, please tell us where you got the balsa wood (even if it’s a source local to you)! I have searched high and low all throughout my city and no one has any balsa strips that are thin enough to be flexible enough for this project. Thank you! I just purchased the balsa from Michael’s. Even though they are thin it seems to need a bit of steaming to avoid breaking. Hopefully that will help it out. Great tutorial, I love all the texture! I’m looking at doing at doing something similar to your lampshade. 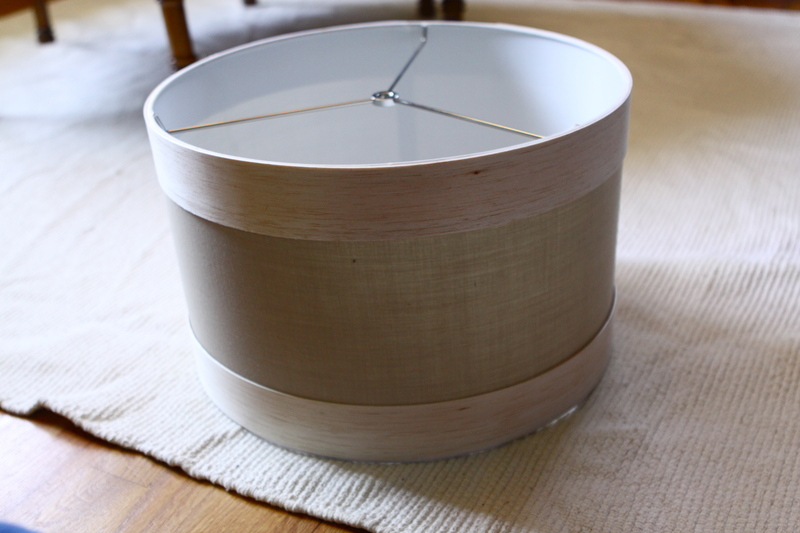 Can you please tell me the measurements of your lampshade and of the wood-thickness width and length. Also I am thinking of staining the wood. After doing this project would you recommend it and if so what point in the project? Also after having only glued the ends, did it remain stuck ?